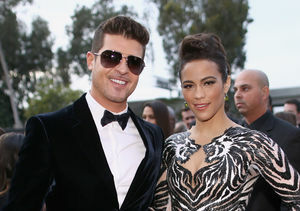 Cops were called Thursday when a scheduled custody hand-off involving warring parents Robin Thicke and Paula Patton became contentious. People magazine reports Patton and Thicke have been exchanging custody of their 6-year-old son Julian weekly after he gets out of school. On this occasion, which took place at a Malibu park, a source told People, “There is no question that Robin was in violation of both the restraining order and the monitor’s visitation protocol, which were communicated to Robin directly." 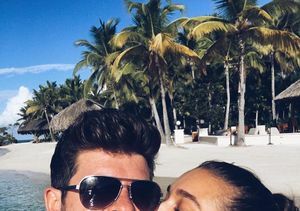 The restraining order in question was granted in January, and stipulates that Patton has sole custody of Julian, that Thicke must stay away from his son and his ex aside from supervised visitations in a neutral place, and that Thicke must at all times stay 100 yards away from Patton. Another source, disputing the notion that Robin was in the wrong, told People, "[Robin] was not in violation of the restraining order. Robin never left his designated spot while waiting for Julian. He’s followed the same protocol they follow every single week, and that time and location and protocol was agreed to by both parties." Police were called, and Patton left with Julian rather than delivering him to a court-designated monitor, who would ordinarily then give Julian to Thicke. Thursday would have been Thicke's only day last week to visit Julian, due to concert appearances this weekend. 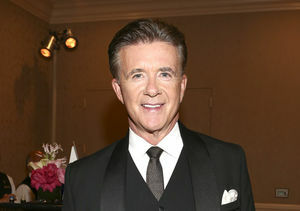 The split between Thicke and Patton has been one of Hollywood's ugliest in recent memory, with Patton accusing Thicke of physical abuse, charges Thicke's lawyers strongly deny.